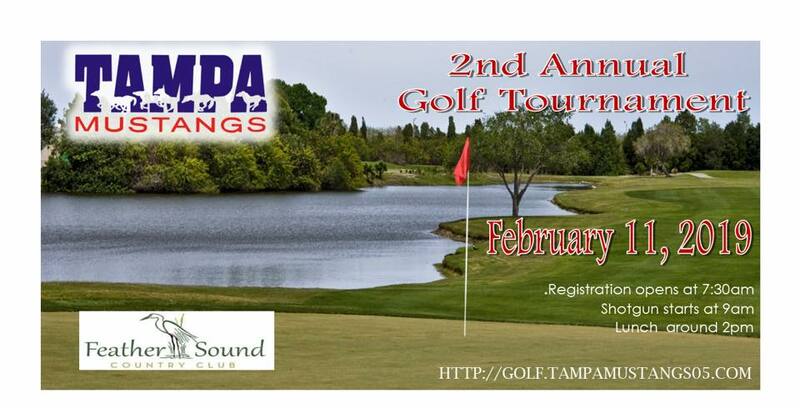 Please join us in sponsoring our 2nd annual Tampa Mustangs Golf Tournament. It will be held at the beautiful Feather Sound Golf Course. All proceeds benefit the Tampa Mustangs Fund. This tax-deductible sponsorship supports the team for tournament fees, equipment, and National Elite Travel expenses. These young ladies have worked incredibly hard on and off the field to become #10th in the Nation at last ranking. We appreciate all the support and sponsors!